What will you do if your Sandisk Sansa can't play your favorite iTunes M4V videos? The answer is that you need to convert M4V video to MP4 or AVI format for Sandisk Sansa. 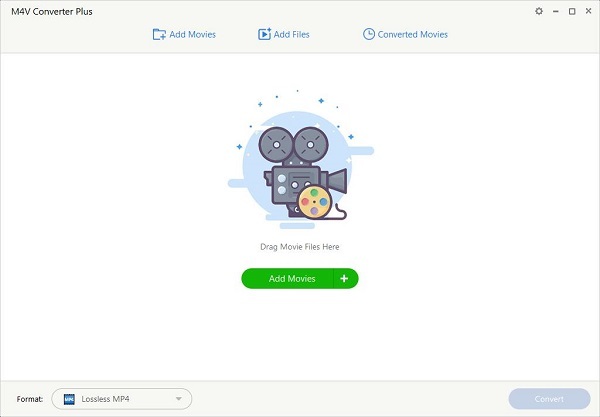 With M4V Converter Plus for Win, you can convert the protected M4V videos to unprotected MP4 or AVI format for Sandisk Sansa. Not only for Sandisk Sansa, but also for other portable video players like iPod, iPad, iPhone, PSP, Sony Walkman, iRiver, Creative Zen, Zune, Sony PS3, Mobile phones and so on. Step 1: Download and install M4V to Sandisk Sansa Converter. Tips: This M4V to Sandisk Sansa Video Converter supports free trial version, that is, you can try this M4V Converter before purchasing. Please download the free trial version first. Step 2: Import M4V from iTunes playlist. Step 3: Select output video format. 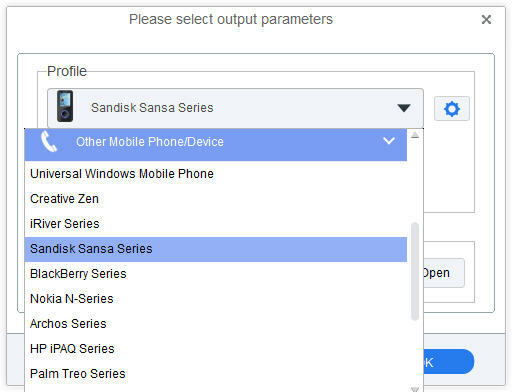 In the drop-down profile, choose the right output preset for your Sandisk Sansa. It can not only convert M4V for Sandisk Sansa, but also can convert all supported input video formats to any of the supported output formats. Tips: If you don't want to use the default output path, you can reset it by clicking gear setting -> Options on the top right of screen. 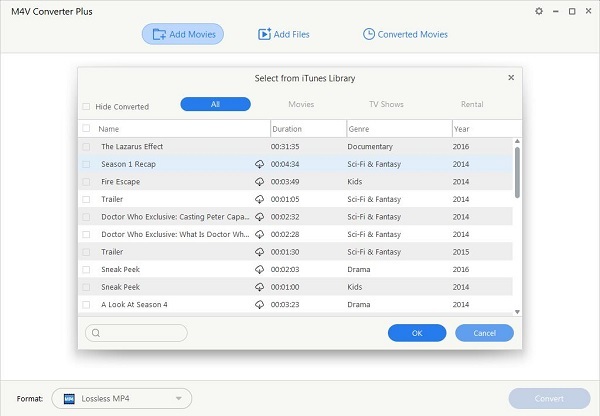 You can find the converted files quickly by clicking Converted Movies. Step 4: Start converting M4V to MP4/AVI for Sandisk Sansa. Well it's almost done now, just click the profile panel to start converting M4V to Sandisk Sansa MP4 or AVI video. After conversion, you can enjoy converted videos on your Sandisk Sansa with happiness.